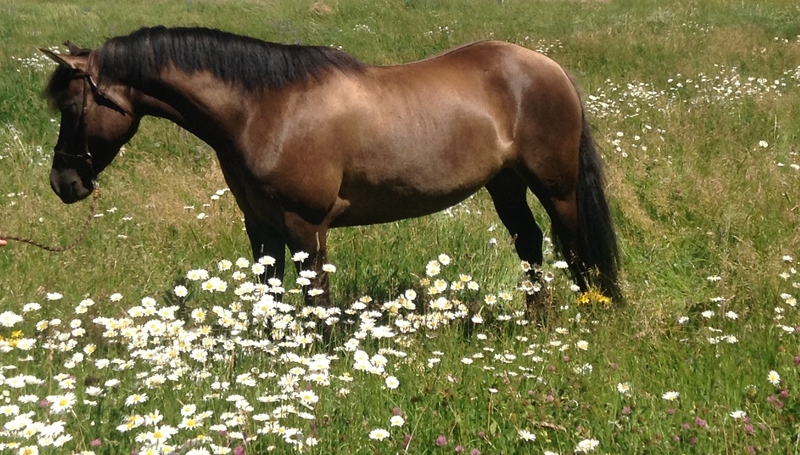 “Bliss” is another that we raised here on the farm and she is a stunning mare. 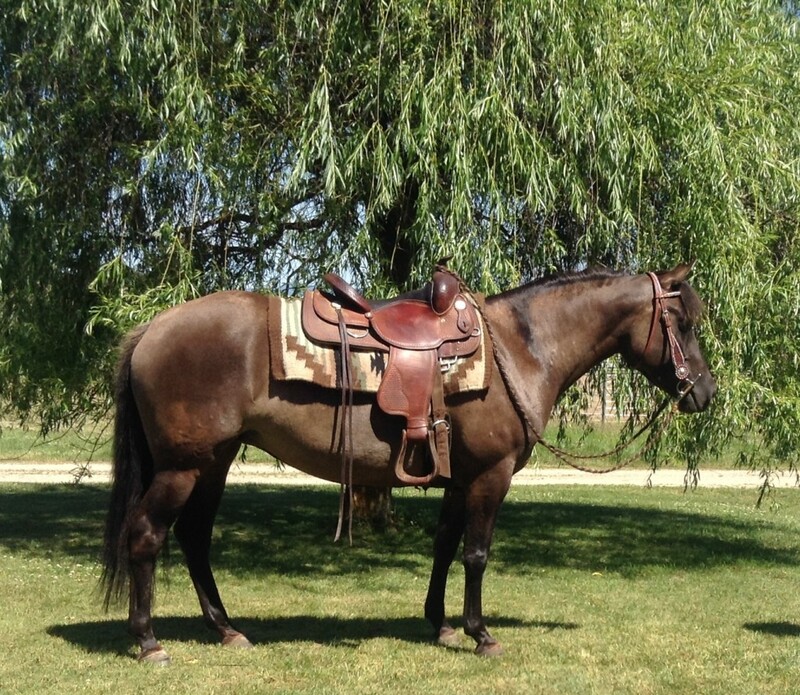 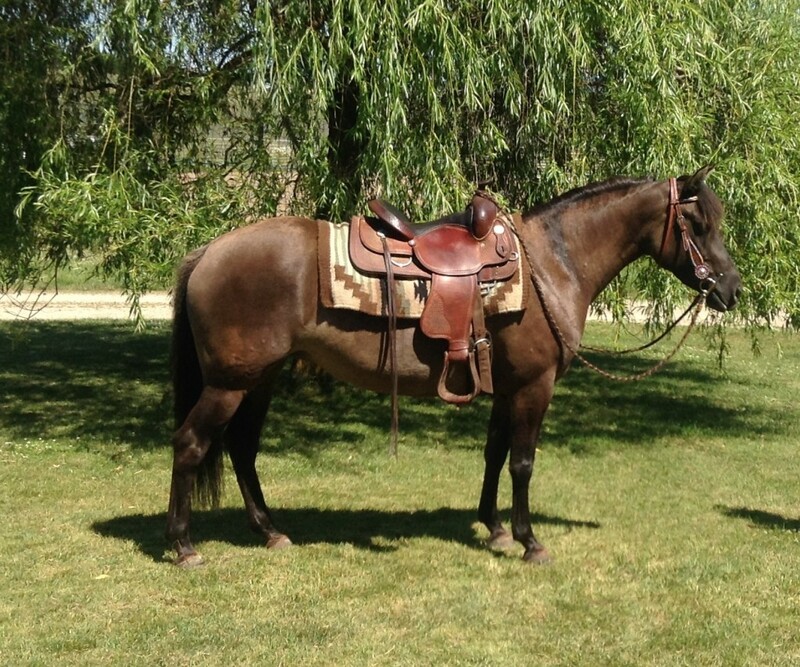 She is 14.1hh, super stocky, and has that grullo color that I love. 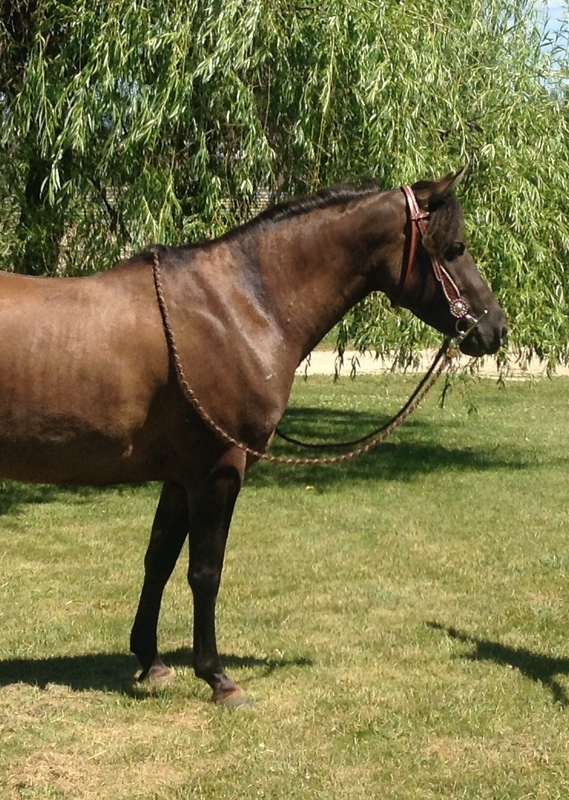 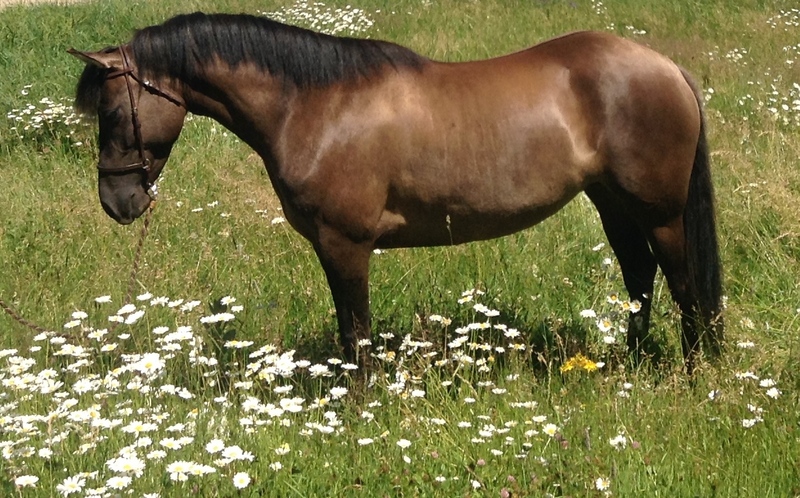 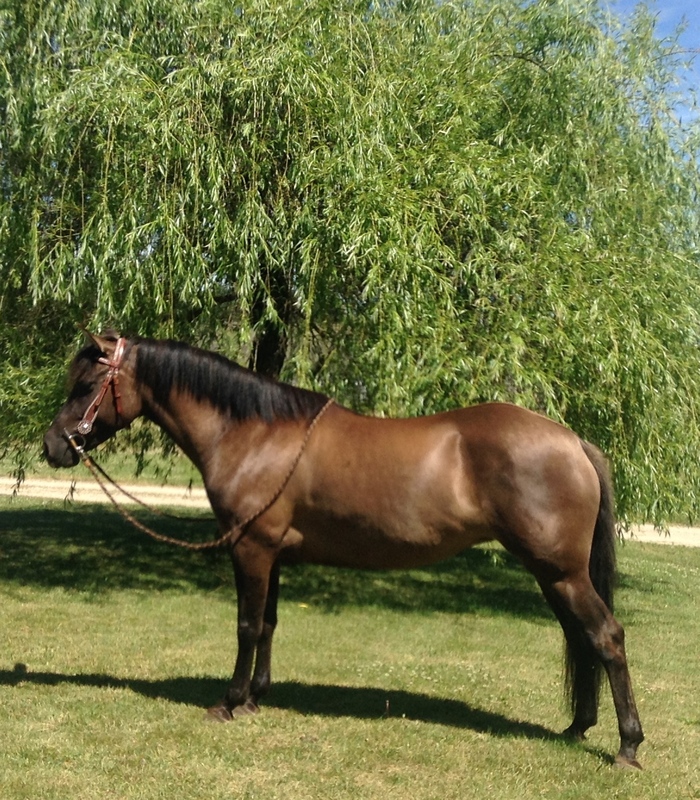 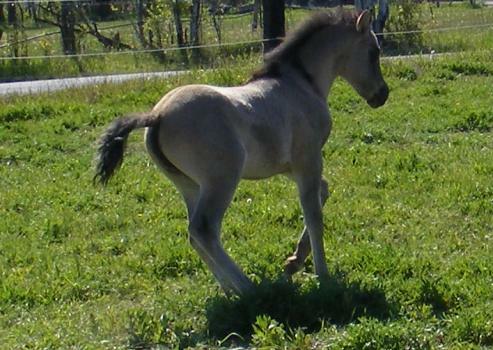 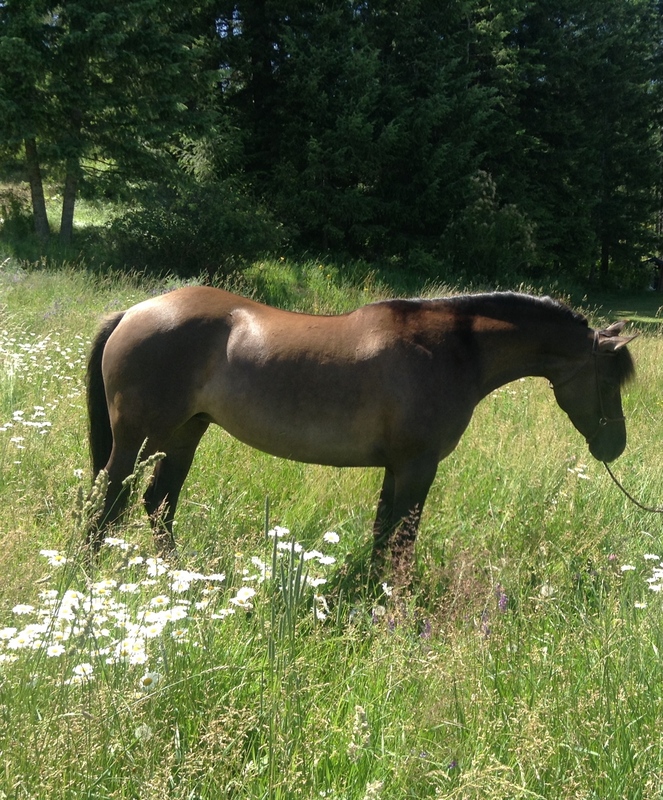 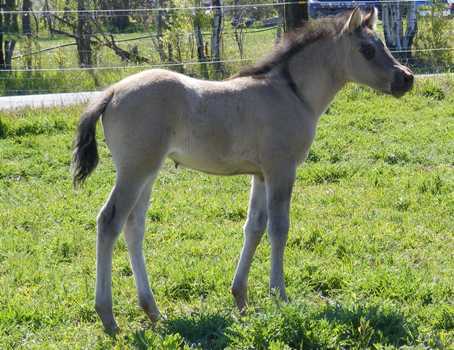 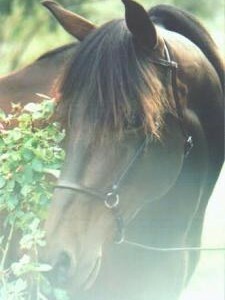 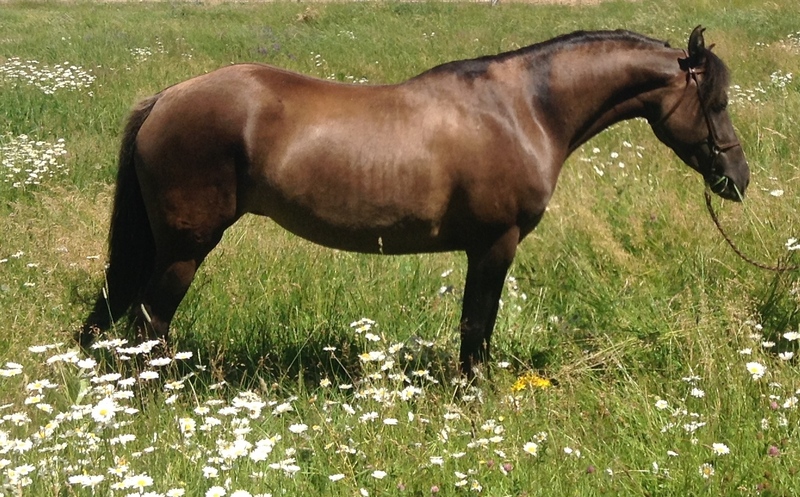 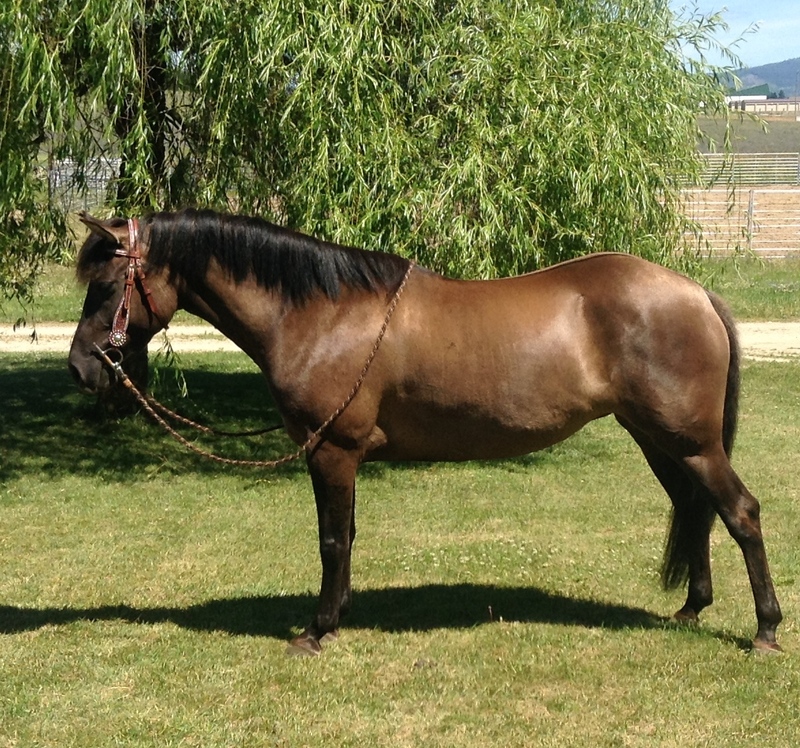 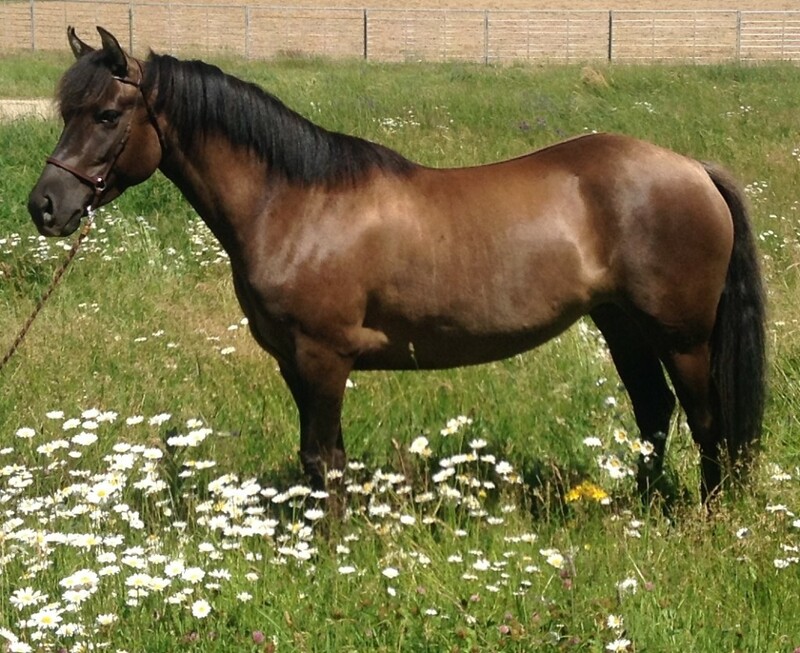 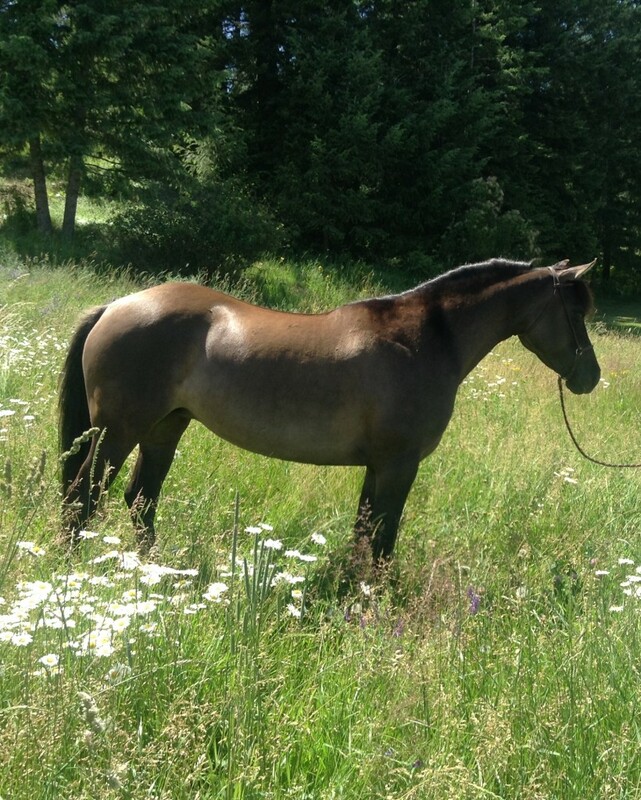 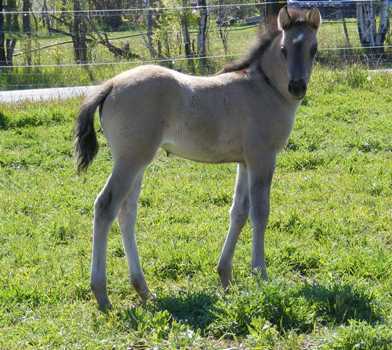 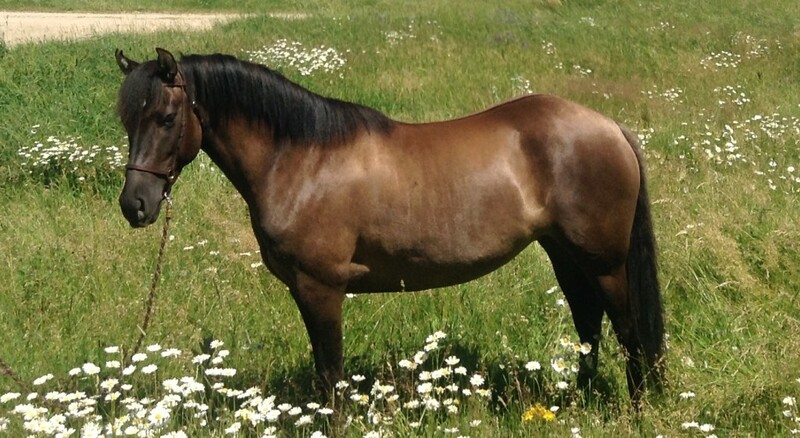 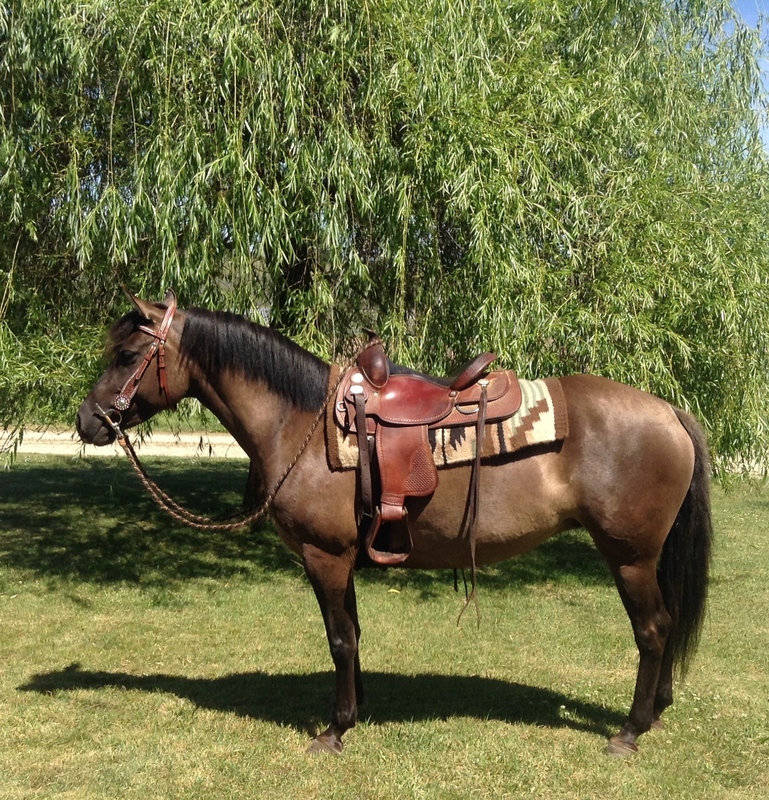 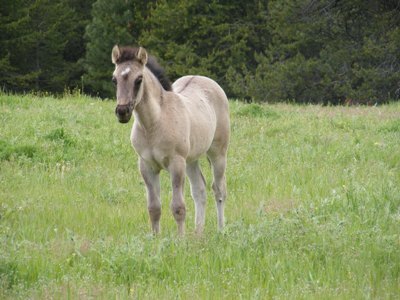 She is a spunky, loving mare who is very talented and athletic. 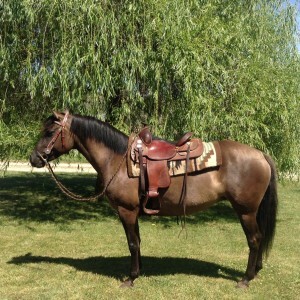 Her saddle training is very through and she is very well trained.